The brush strokes of Chinese watercolor seem simple but create a profound statement. Through twists, rolls, presses, releases, drags and dots, the brush produces a flower’s curling petal, a butterfly in flight, a fish wig-wagging through water or the precipitous drop of a waterfall tumbling down a mountain side. Join us for a full day workshop to learn about the mindfulness and discipline of Chinese painting history, traditions, and techniques. The full day workshop will include a walk-through of the Chinese Landscape Rethought exhibition with Eva, and a one hour lunch break. All materials will be provided. Class instruction will be geared toward the age and experience of the students. As students gain confidence, more complicated subjects and brush strokes are learned as they are encourage to find their own voice and expression. Traditional watercolor techniques may be the goal for some students, where for others it will be a leaping off point or an experience to inform their work in other media. Space is limited to 15 people. Payment is required when reserving a spot. No refunds will be offered within two weeks of the workshop date. Please RSVP to the Education Department at 860.443.2545 ext.2110. Eva Leong was born and raised in Shanghai China, where she grew up focused on Chinese philosophy, and traditional Chinese watercolor. This formal approach set the foundation for Eva, giving her work a tactile understanding of nature, captured in simple brush strokes that carried both movement and emotion to establish the essence of the object. In 1982, Eva moved to New York City to begin her Western fine arts training: studying at The Art Students League for the next four years before pursuing her B.F.A from Parsons School of Design. In the early nineties Eva relocated to Connecticut, opening a shop in Olde Mystic Village, “Work of Art”, creating and selling her own original artwork. For over a decade Eva has shown her work in many local galleries. 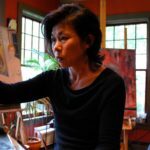 She also teaches art, specializing in Chinese watercolor, teaching art enrichment in many schools throughout Connecticut, as well as adult and children workshops at her studio in Mystic. 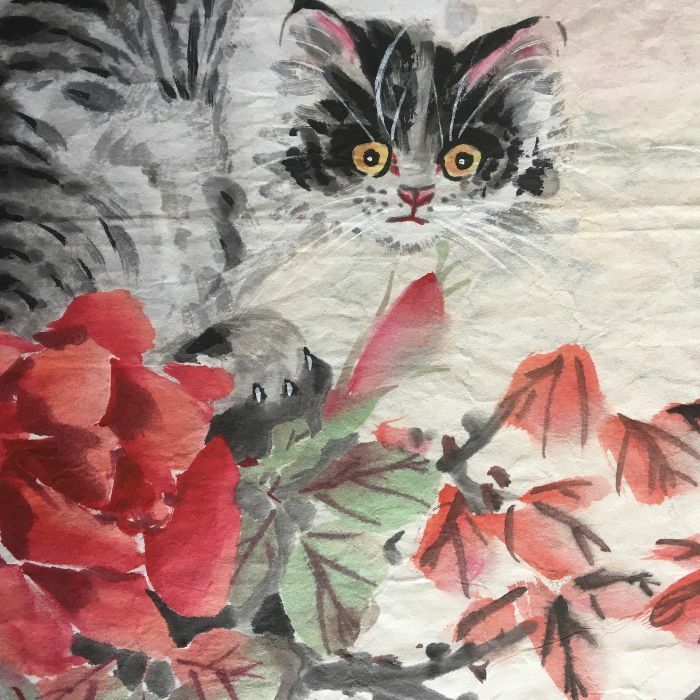 As an artist with many years of experience, she has successfully combined the Chinese brushstrokes with the Western canvas to create a truly unique style of painting.